I so thoroughly enjoyed Quintarelli’s 2006 Amarone della Valpolicella Classico that I wondered why I don’t serve these wines more often. It’s not just a matter of price, but rather finding the right moment. Or maybe wines like this are the moment. From the moment I open it, the 2006 Amarone is pure magic. A rush of chocolate covered cherries, tobacco, leather, licorice, incense and kirsch seems to fill the air. 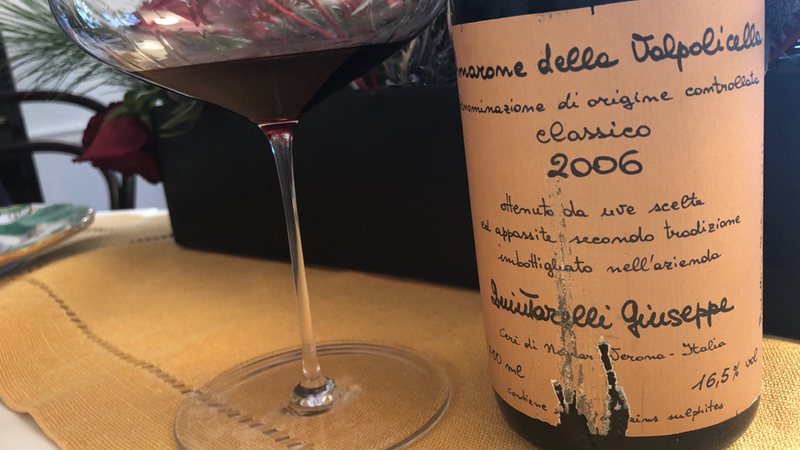 Powerful and structured, with a bit less overt sweetness than is often found in Quintatelli’s Amarones, the 2006 is just starting to drink well. Because it is a bit on the austere side and not especially dense, the 2006 offers more versatility at the dinner table than many Amarones. Today, I admire the wine’s depth and overall persistence. Giuseppe Quintarelli passed away in 2012 after a long, brilliant career. Quintarelli was an original and so are his wines. 96/Drink 2017-2032.